When asked if the people, practices and techniques required to lead science research projects are different from those in the general population, the answer is not just yes, but a resounding duh! The differences are vast, in part because we believe there's an Einstein Factor at work. In other words, in science organisations, academic brilliance is astounding. People are passionate about their work, committed and motivated to discover cures that heal a world population or design instruments that unleash the secrets of the cosmos. And, like Einstein, high science or technology workers tend to push back the established status quo with an expectation of peer defaulting interaction and inclusion. Respect, recognition and reward commensurate with work are all assumed. On the flip side of the Einstein factor are also those challenges encountered when it comes to emotional savviness. Einstein considered himself somewhat of a dunce on the topic with two failed marriages and only a handful of friendships over the years. While the statement of emotional impairment may be more stereotypical than not, it does raise an interesting point about the preconceived notion that a trade off is required - the intellectual superseding anything emotional. And yet, according to the State of Engagement Corporate Leadership Council survey in which 50,000 employees from 27 countries were surveyed, knowing how to create an emotional commitment with people is at the very core of increased productivity and performance. Not only are people differences great, but the way in which project teams are populated and managed also vary from the norm. The differences between managing science based research projects from those in other sectors are enough that even Einstein himself would have lamented the gaps. The passion, commitment and motivation found in those who work in the high sciences and technology areas represents an uncommon population. Scientists and Medical Doctors are really, really smart. In fact, they tend to be in the 120 to 140 IQ range (Very Superior Intelligence) with some in the 140+ (Near Genius or Genius Level). This isn't to imply that you don't find smart people in other industries. You do, just not so many gathered together in one spot. Note: We certainly know those who hold Ph.D. or M.D. titles and couldn't communicate directions to their Aunt Matilda's house. Still, you get our gist, scientists and medical doctors are pretty dog gone bright. Science based project teams are made up of different specialties. The Aubrey Group, a bio-tech consultancy organisation, has estimated that the typical medical device project requires 12 different technical/scientific specialties. They believe this number also applies to pharmaceutical discovery projects. What ifs are the language du jour. The more varied the background of people gathered together, the greater the boundless thinking. It takes a very long time for a scientist to achieve the necessary proficiency in their field of study (PhD plus post Doctoral efforts). Spending roughly 16 years studying their field of expertise, scientists usually end up knowing almost everything about their discipline. On the other hand, it also implies that as specialists, they may not necessarily be savvy about general business functions. Medical Device and Pharma Discovery projects are L-O-N-G, typically requiring many years from inception to product rollout. In fact, projects are often measured in decades. This requires several project hand-offs as well as built in transfer of knowledge (both tacit and explicit). Patience is paramount as is having a passion for staying the course over the long haul. Based on extensive research, scientists and technical specialists tend to be "internal thinkers" and highly analytic in their approach to problem solving and decision making. Myers and Briggs (originating with Carl Jung's work) identified basic personality types. Those in high science and technology positions tend to fit in certain dimensions. It certainly doesn't mean they can't fit into other niches, only that there's a preference to be highly analytic when it comes to gathering information and very logic focused when making decisions. A great deal of "noodling" takes place. Typically speaking, scientists and technical specialists are going to cogitate and extrapolate on the inside before opening their mouths and spouting off on the outside. The impact of the differences requires that the leadership of the Science Project Team (whether pharmaceutical or medical device oriented) must take into account those emotional arguments which engage their fellow Einstein-like colleagues. 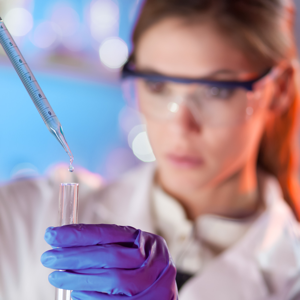 In the majority of cases, scientists are introduced to leadership by being drafted into managing a single laboratory function. For example, a Senior Chemist may reluctantly take on the job of guiding a group of chemists in a laboratory. The good news is that he or she will usually have the respect of the team based on proven subject matter expertise and results. The bad news is that many organisations typically fail to provide the resources needed to support the scientific project leader. The reality of managing and leading science based projects (and the Einsteins who comprise the project team) requires an aptitude not readily understood. Cross-Functional Capability - Chemistry, Biology, Animal and Human Modelling, Fluid Dynamics, IT, Statisticians, Clinicians are just some of the intertwined functions. Cross Company Alliances - as in Big Pharma meets Start up Biotech. Inclusion of Contract Research Organisations (CRO's) - integral parts of the project are often outsourced. Cross Cultural and Cross Country - virtual research labs can be found in China, India and Neuchatel. Heavy emphasis on meeting schedules, cost objectives and scientific objectives - complex drug discovery or instrument prototyping requires more than sticky notes on the wall. Key management involvement and visibility - approval, sponsorship and guidance from the highest levels is paramount. Obviously, the challenges are enough that an organisation's senior management team must recognise that parachuting someone without an applicable track record into a complex project is akin to the darn parachute not opening - in other words "the flop heard round the world." A charter document, even if only partially completed, is a reasonable start. With a mindset of inclusion and peer defaulting repartee, scientists can become involved early on in the project. They're then more likely to champion the efforts throughout the project life. As the leader, recognise that fellow scientists might resist detailed planning with the following "How can you ask me to schedule a break through? We've never done this before; how should I know how long it will take?" Leaders must provide boundaries on how long individuals will be allowed to pursue a discovery quest. If the researcher can't come up with a pre-determined time frame, then obtain a range of probabilistic estimates based on similar research. Other areas that are important to put down on paper include: initial assessments of the risks and uncertainties; resources that will be needed in terms of personnel, consultants, equipment, and facilities. Building a Work Breakdown Structure to at least the third level should not be too difficult a task and completing a Responsibility Assignment Matrix provides sufficient planning details to launch the initiative. The last stumbling block faced during planning is how to determine the milestones and defining what completion actually means. If done poorly, it will come back to bite you in the behind during execution and monitoring. If the milestone is the completion of an experiment, then establish clarity about ultimate measurements. For example, the leader may determine that the results, which achieve a 90% success rate are adequate for completion. Einstein was a perfectionist, so are most scientists and technologists. Set reasonable parameters that meet veracity tests versus striving for absolute perfection. If you don't, scientists will tend to try for that 100% proof which may not only be unreachable but also unnecessary. One of the primary difficulties during this phase is to maintain a single minded focus on the project. Especially on a longer project, a project team can become bored, frustrated and revert to their individual functional assignments. They may even want to jump ship to join some other project with seemingly more appealing project parameters. What works well is to "chunk" the project into shorter phases (less than six months) with concrete milestones that are met including documenting results. This alleviates some of the frustrations related to a long term multi-year project. The other primary difficulty is maintaining project scope. Scientists, who have natural curiosity, tend to chase after what may be promising lines of inquiry. The project leader's job requires assessing these digressions and to decide whether or not to chase after the possibilities, go back to the original scope or shelve the promising approach for another time and another project. Monitoring a project's performance is exasperated by getting status from members of the team. Often times, the project leader will be found chasing down status information. This usually requires the leader abandoning the computer screen in lieu of walking the lab hallways. I'm almost done, and I'll get back to you real soon. If you stopped bothering me about status, I'd already be done. I think I'm 50% complete. I've spent about half the time and half the money allocated so I must be half done. I've missed the due date, but I'll catch up some time real soon. Don't worry about the lack of documented results, its all in my head and I'll sit down soon and put it all on paper. The project leader's job is to accurately determine where the project tasks are at any point in time and identifying deviations that impact project objectives. It's sometimes constructive to have a scientist or technical specialist in the same area ascertain actual progress, especially if in an area that the leader is not comfortable with. If there are negative deviations, work with the folks that caused the deviation in the first place to see if there's a way to catch up. If not, get the people that caused the gap to work with down-steam groups such as quality, test, or regulatory to see if time can be made up by acceleration or fast tracking. Another suggestion in the controlling and monitoring phase is to have the leader select the review period based on the time lines of the project. The concept of the weekly or monthly meeting doesn't always make sense. 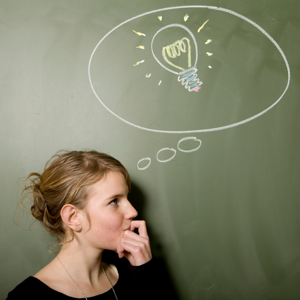 As the project leader, determine how long you can go between knowing what's occurring. It may be weeks or multiple months that make for the best reporting cycles. And, scientists should not be burdened with putting on dog and pony shows that lead to PowerPointitis presentations. That's an unnecessary expense no matter how you slice and dice resources. Rather, use the same data that the scientists are using to track their own work as project input. Bring in some other people who can help package the presentation for a targeted audience. We can almost guarantee the team's gratefulness at not having to spend oodles of hours playing the "presentation guessing game." 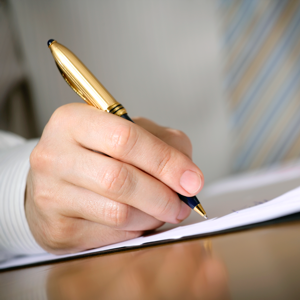 Start accumulating the necessary documentation before the conclusion and re-assignment date. 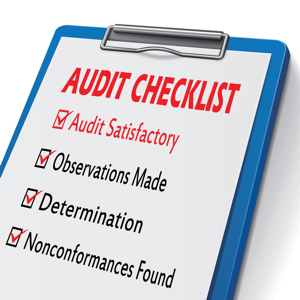 At about the 90% point (based on weighted milestones) do an audit to see what exists and what is needed. This provides a fighting chance to get people to finish up reports and documents before they move to their next job. The lessons learned and retention of tribal knowledge is particularly difficult in long-duration projects. Nobody remembers, assignments have changed and getting anything useful is normally not worth the effort. We recommend that lessons learned be conducted at key phase gate reviews during the life of the project and that these be used and summarised at the final project recap and assessment meeting. Be particularly fair and inclusive in giving credit for work done and making sure that the key participants and contributors are included in technical papers, internal company reports or patent applications. Very smart people don't like to be told, they prefer to be asked. They need to be included in the decision making process. The advisory approach to decision making works well in this environment. Scientists often respond best to peers rather than bosses. Consider having a respected peer deliver criticism or improvement suggestions if needed. Never, ever criticise in public. Scientists and technologists tend to be emotionally married to their ideas. Unless you're highly respected in the same field, your input may be rejected. Come at the argument by making a strong intellectual or business case followed closely by acknowledging the emotional underpinnings such as time spent, methods employed, merits of overarching objectives, etc. Do your absolute best to obtain the latest and best enabling technology to support the project efforts. If you're spending $150K per year for a top level chemist, don't skimp on providing him/her with the latest tools in computational chemistry. To engage a savvy workforce, project leaders must establish trust. Trust doesn't just happen. It's built on the back of respect which in turn is built upon congruity of values and experiences. In other words, leaders need to act consistently paying close attention to both word and deed. Some of the great characteristics of smart knowledge workers include a lot of curiosity, a strong work ethic and a passion for results. Your job as a leader is to make sure you don't do anything to turn these folks off. Scientists are often more motivated by the work given to them, recognition received for the work performed and the quality of their peers. These motivational drivers tend to outpace money, title or other perks. Recruiting the right people for the project team requires the ability to clearly describe the opportunity as a unique challenge. Follow up by crafting a sound vision which shows how the project aligns with the organisation, how the project cures a patient's ailment and how the project can change the world for the better - no doubt lofty sounding, but you'd be surprised at the impact this reasoning makes. As one of our colleagues said when asked why he worked in a science environment I wake up each morning frothing at the mouth with the anticipation that I'm going to discover a cure for mankind. Pretty heady stuff if you ask us. And pretty darn compelling - not only from an intellectual perspective, but from a view that takes into account - the heart. This article recommendations how to deliver project status to management and the project team that you will hopefully find to be very effective. A project audit provides an opportunity to uncover issues, concerns and challenges encountered during the project lifecycle.